In previous post I walked through the steps of creating an Icenium project – a mobile application that is using Web Api to get the data. One thing that Icenium does not support now is Windows Phone deployment. 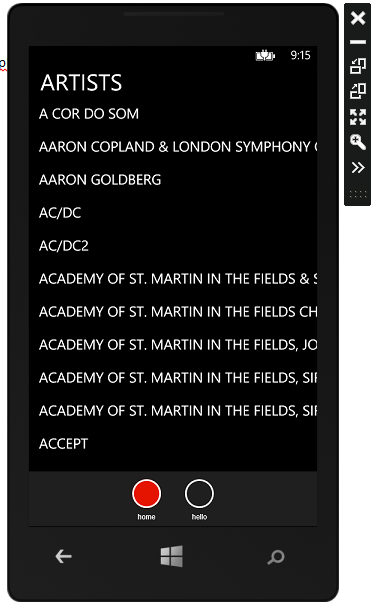 So, I decided to see what it would take to convert the Icenium project to PhoneGap to be deployed to Windows Phone 8. First step is to download PhoneGap. Just head to www.phonegap.com and click on download link. Unzip the contents of the file, then head over to getting started guides and follow Windows Phone 8 link. You can do the same for Windows Phone 7 as well. 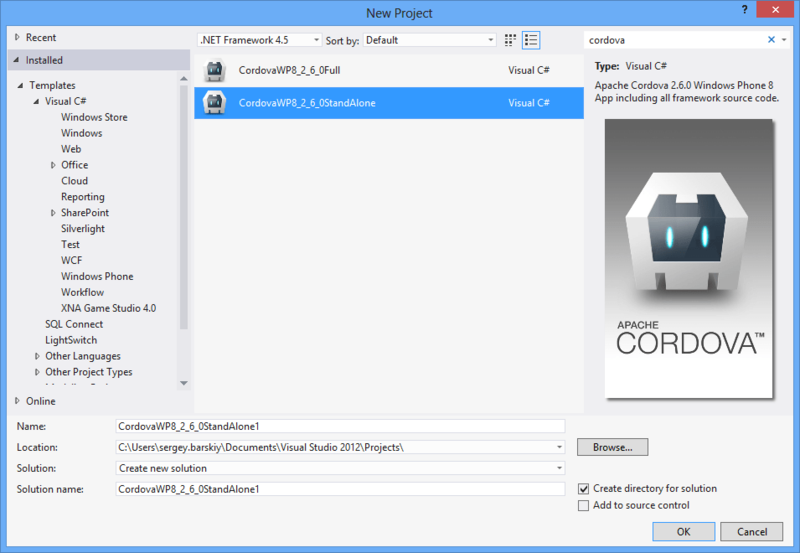 I am using Standalone Cordova Template to be able to have more control over the features prompt. It is really that simple. I had to make one quick change, but this is just for development – the phone emulator for some reason could not resolve localhost, so I switch the data Uri to use my machine name. After that I was able to run the app. One important note – only the latest Kendo Mobile supports Windows Phone 8. 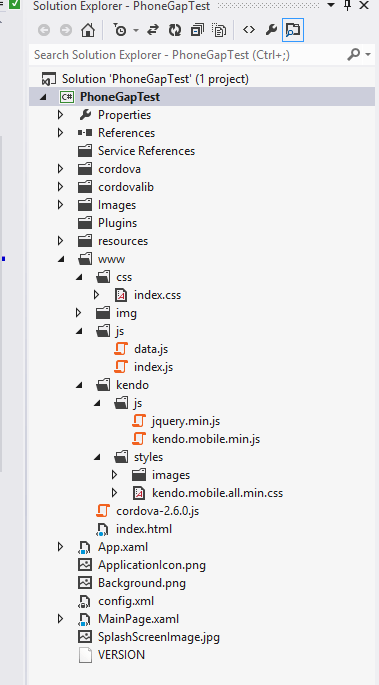 So, you have to make sure to download the latest version of Kendo UI Mobile and put those js and css files into your project. When all said and done, the app looks as follows. You can download my sample app here.